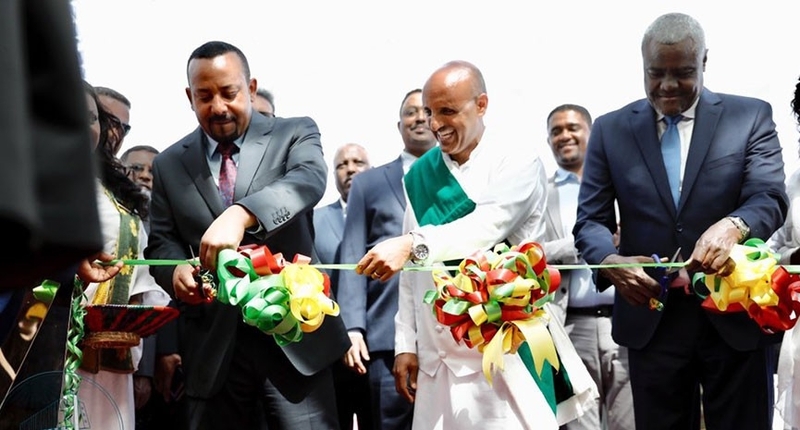 Ethiopian Airlines inaugurated state-of-the-art passenger terminal and its Skylight Hotel on January 27, 2019. Ethiopian Skylight Hotel will enable the airline to offer packaged tour and travel programs. Moreover, the hotel will enable Ethiopian Airlines to attract around a third of tourists out of the 6 million passengers transiting through Bole Airport to visit Ethiopia. The new passenger terminal features the latest technology security systems, self-check-in machines, self-boarding system, comfortable lounges, duty-free shops and other amenities. At the passenger terminal inaugural event, Prime Minister Abiy remarked, “Ethiopian Airlines is our national pride and a special icon among our companies as it carries our common name Ethiopia and our national flag. We would like all employees of the airline here and elsewhere to know that we speak of you with pride. The new hotel Ethiopian Airlines inaugurated today will enable us to attract tourists, and the airline’s offer for employees to own shares of the hotel is important as it boosts the sense of ownership among staff, and will serve as a model for other companies to emulate. Addressing the gathering at the inauguration ceremony, Group CEO Ethiopian Airlines Mr Tewolde GebreMariam for his part said, “While Addis Ababa Airport took over Dubai as the largest air transport hub between Africa and the rest of the world, this grand terminal building is further evidence of the development of Bole Airport as one of the largest and most convenient global aviation hubs.